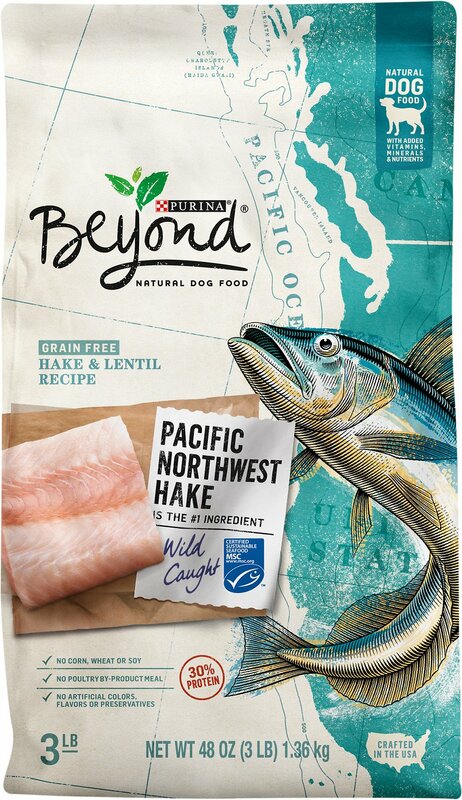 Your dog deserves the best, so look beyond average dog food and serve Purina Beyond Pacific Northwest Hake dry dog food. This scrumptious fish recipe features regionally sourced Pacific hake as the first ingredient for the high-quality protein your best friend deserves. It's then paired with vitamins and minerals for a wholesome, well-rounded meal that packs a nutritious punch. And it delivers all those benefits without adding fillers like by-product meal, corn, wheat, soy or grains! That means your furball will enjoy a tasty meal that brings everything she needs, and absolutely nothing she doesn't. 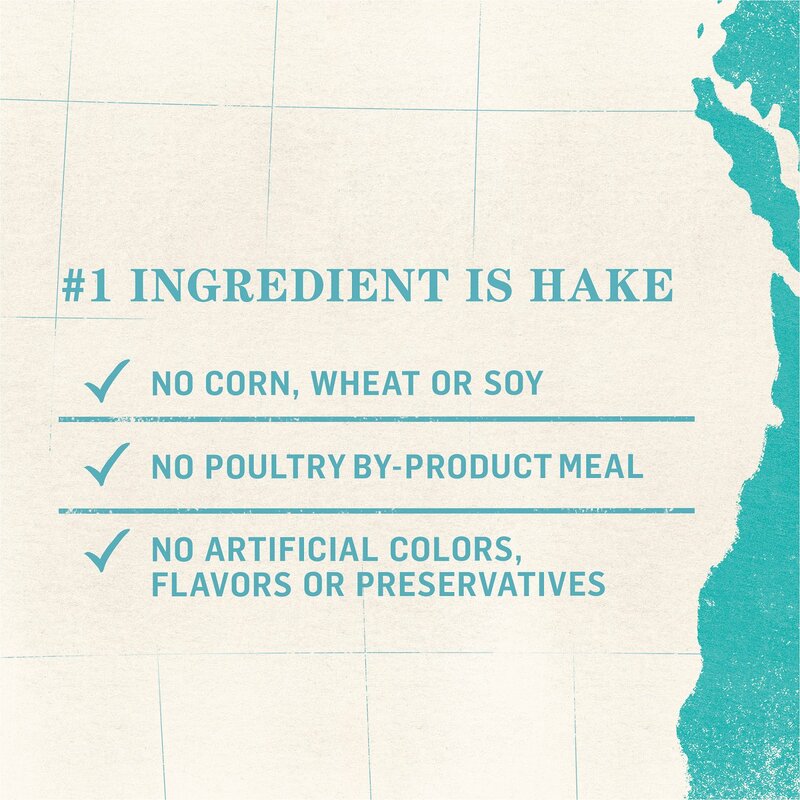 Hake is the first ingredient, followed by wholesome, nutritious ingredients. 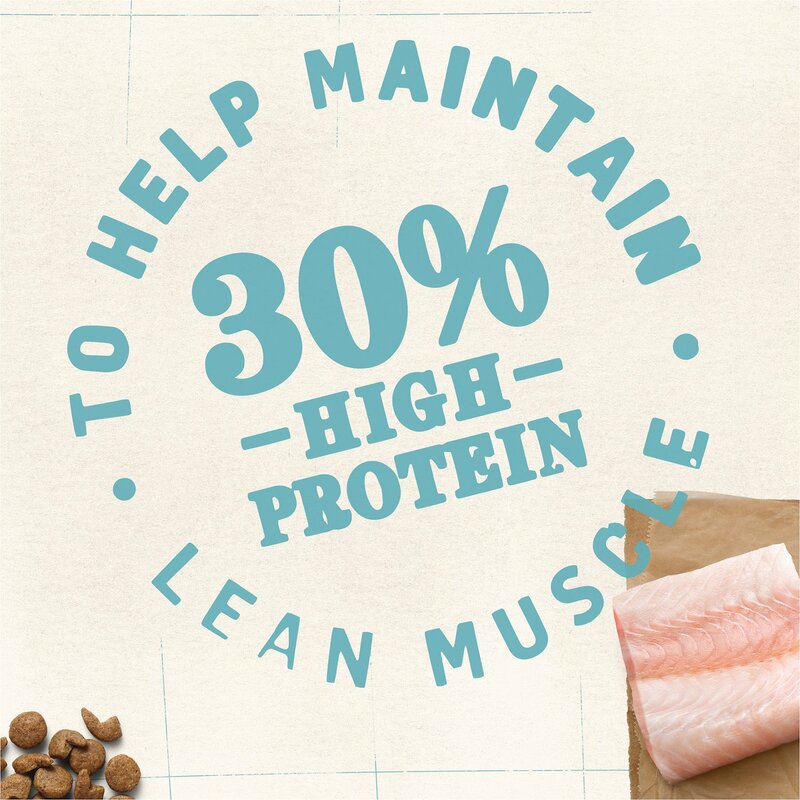 Nutrient-dense formula supports your active dog's healthy muscles with 30% high-quality protein. 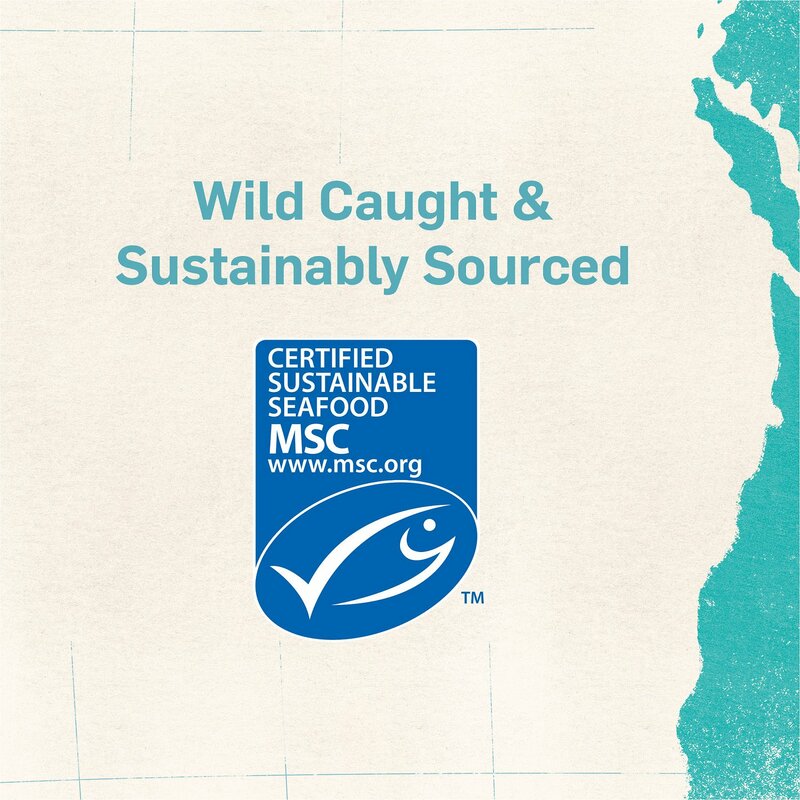 Made with Hake that was sustainably sourced from an MSC certified fishery in the Pacific Northwest. Grain-free recipe is designed to be safe for dogs with certain sensitivities. No corn, wheat, soy or by-product meals—it's nutrition without fillers! 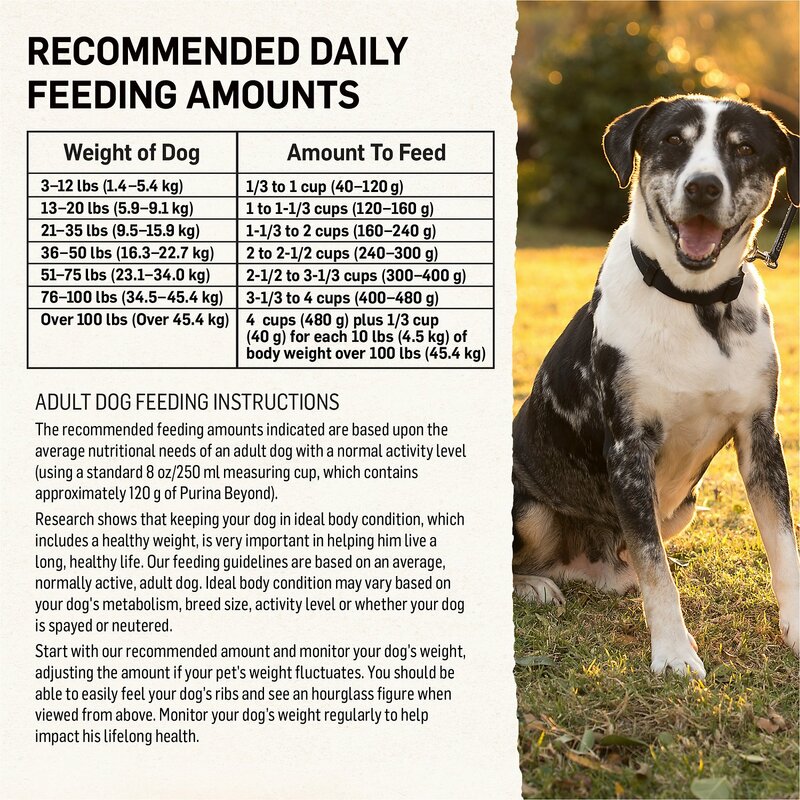 The recommended feeding amounts indicated are based upon the average nutritional needs of an adult dog with a normal activity level. Start with our recommended amount and monitor your dog's weight, adjusting the amount if your pet's weight fluctuates. You should be able to easily feel your dog's ribs and see an hourglass figure when viewed from above. Monitor your dog's weight regularly to help impact his lifelong health. Please allow 7 - 10 days to ease the transition from your dog's current food. This will help avoid dietary upsets. Each day, simply feed a little less of the previous food and a little more Purina Beyond until you're feeding Purina Beyond exclusively. First time for this item and dogs seem a little slow getting use to it. They like their chicken much better.